With the tire and wheel assemblies removed and the brake rotors retained by wheel lug nuts, visually inspect the brake caliper piston dust boot (2) sealing area to ensure that there are no brake fluid leaks. If any evidence of a brake fluid leak is present, the brake caliper requires overhaul or replacement. While the brake system is at rest (4), observe the position of the brake caliper piston (1) in relation to the brake caliper housing. Have an assistant apply and release the brake pedal several times while you observe the operation of the hydraulic brake caliper. Observe the brake caliper piston (1) for unrestricted and even movement during each apply of the brake system (5). Observe the brake caliper piston (1) for an unrestricted and even return motion during each release of the brake system (6). 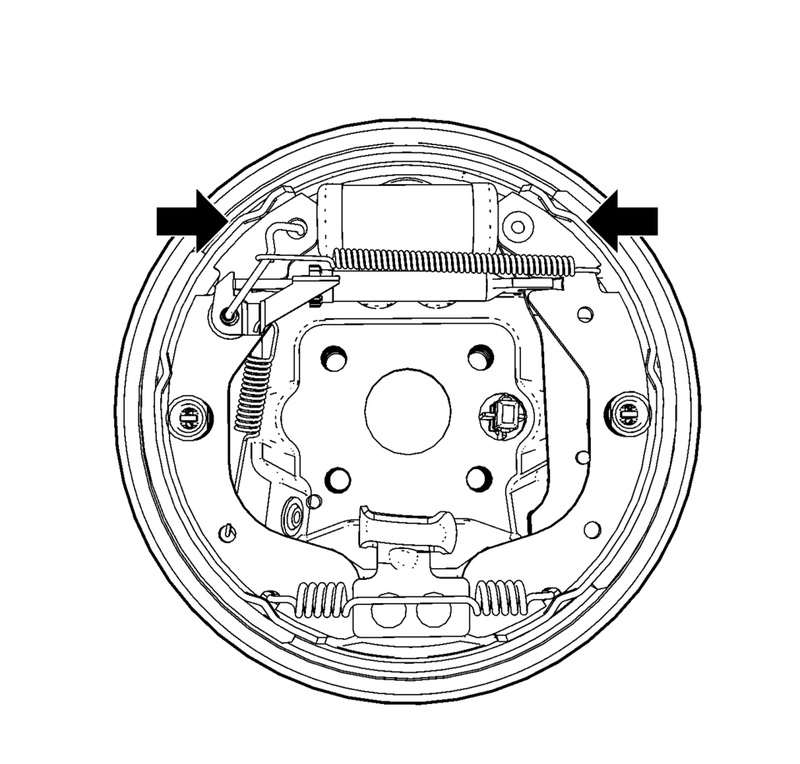 If the brake caliper piston (1) did not exhibit unrestricted and even movement during brake system apply and/or release, the piston square seal (3) may be worn or damaged and the brake caliper may require overhaul or replacement. With the rear tire and wheel assemblies and the brake drums removed, visually inspect the wheel cylinder pistons boot sealing areas to ensure that there are no brake fluid leaks. If any evidence of a brake fluid leak is present, the brake wheel cylinder requires replacement. Using firm hand pressure, simultaneously and evenly apply force on both brake shoes in order to compress the wheel cylinder pistons into their bore. 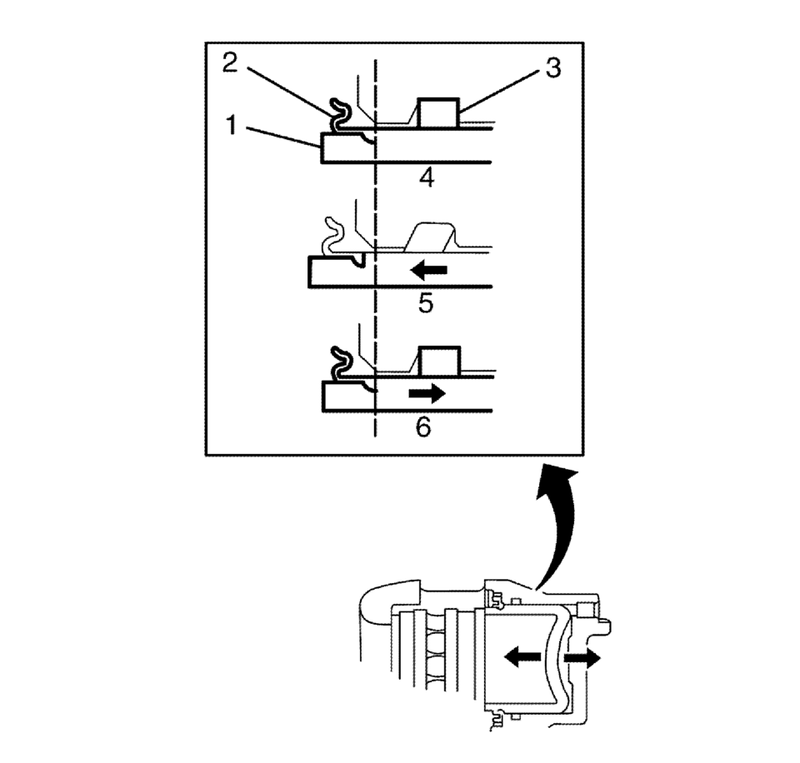 Evenly release the force from both brake shoes to allow the wheel cylinder pistons to return. If one or both of the wheel cylinder pistons did not exhibit unrestricted and even movement during apply and/or release of force, the wheel cylinder may require replacement.